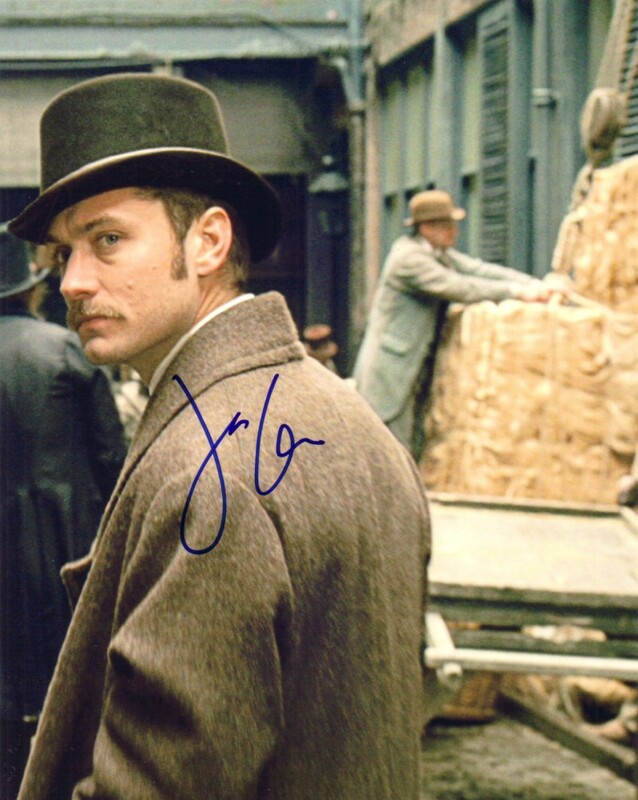 8x10 photo from the movie Sherlock Holmes autographed by Oscar nominated actor Jude Law, who played Watson. ONLY TWO OF THIS POSE AVAILABLE FOR SALE. With certificate of authenticity from AutographsForSale.com.